To celebrate the iconic television series “24”, we are proud to present our Officially Licensed 1:4 scale statue of Jack Bauer! Masterfully portrayed by Kiefer Sutherland, the character of Jack Bauer became a pop culture icon, and “24” with its real time format changed the landscape of TV shows forever. Jack is captured in classic action pose with pistol in hand, running to save the day again! Jack comes complete with his CTU badge and a “24” themed base. The HCG Exclusive version of Jack also comes with an additional switch out head, featuring the armored mask he used in the memorable scene in Season 8 when kidnapping Logan! 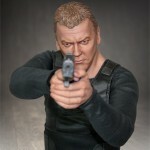 With an authentic likeness of Kiefer Sutherland as Jack Bauer, this incredibly realistic statue stands an impressive 19” tall. 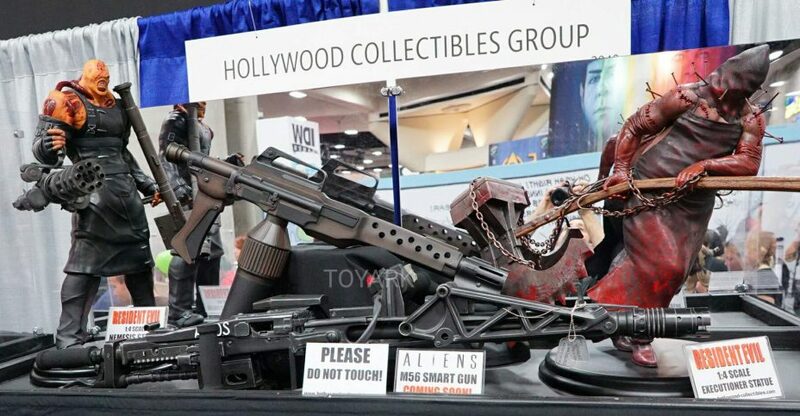 Don’t miss your opportunity to add the definitive Jack Bauer statue to your collection! You can see all of the photos after the jump. We had previously reported the preview images of the upcoming 24 figures. 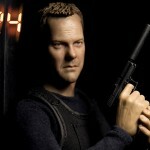 Now Enterbay has released new images of their upcoming Jack Bauer. Jack Bauer Gear : Watches, USP compact Hand gun, silencer, holster ,flashlight and messenger bag.